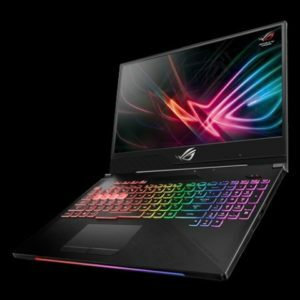 ASUS finally brings its latest NVIDIA GeForce RTX-powered gaming laptops to the Philippines, including the ROG Strix Hero II. Built for gamers with subtler styling, the Strix Hero II features contrasting textures and cyber-text patterns. This gaming machine performs great with MOBAs thanks to the latest GeForce RTX 2060 graphics that offers higher frame rates. Like with the Scar, NVIDIA Optimus ensures that battery life ans power are conserved whenever the discreet GPU isn’t being used. Priced at P119,995, the ROG Strix Hero II comes bundled with an ROG Bag, an ROG Impact mouse, and and ROG Eye Sculpture. ASUS is yet to announce the official date of availability of this gaming laptop here in the country.